Come in, try out our classes for a week and see if it’s for you. If it turns out you love it, (and we’re fairly confident you will) we’ll be happy to talk membership then. If you have long hair, you’ll want to tie it back. We’ll meet with you before class, get you set up, explain how the classes work, answer all of your questions, and partner you up with some of our more advanced students to make sure your first experience is safe and enjoyable. Not in shape? Not to worry, we’ve all been there. The best way to get into shape for something is doing it — we’ll ease you in at an appropriate level of intensity. 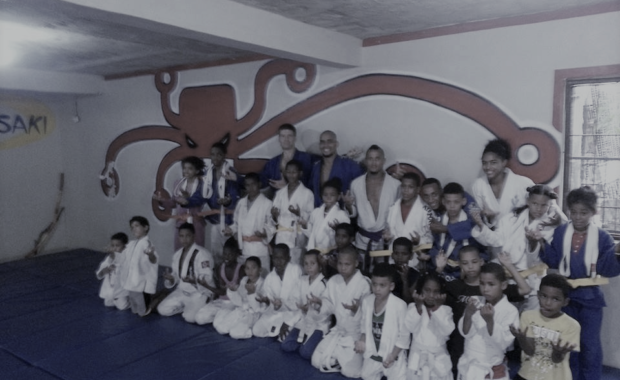 Brazilian Jiu Jitsu is for everyone, man or woman from 5 to 50. Come see if it’s for you!